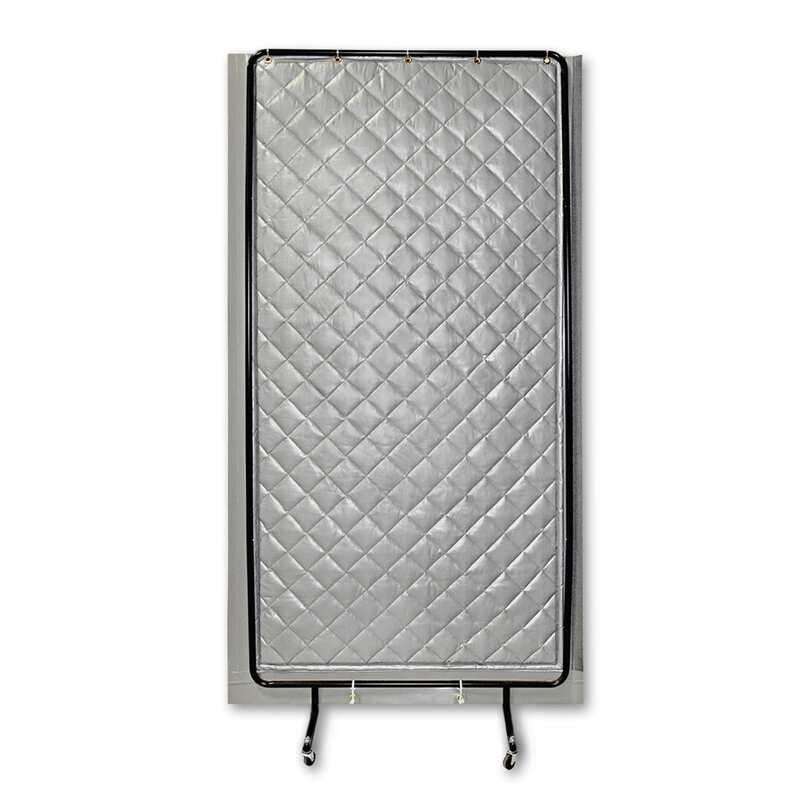 Our ABBC-13 AudioSeal® Portable Blanket Screen is a quilted sound barrier blanket that attaches to a tubular steel frame for use as a sound partition. 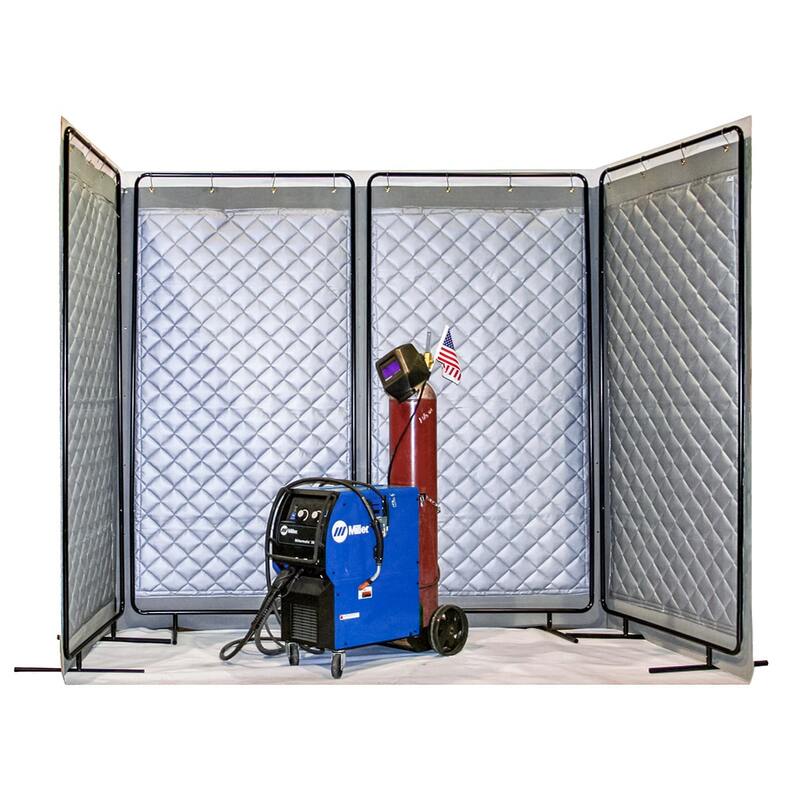 These screens may be used individually or in groups to create partial noise barrier enclosures around noisy machinery or other equipment. 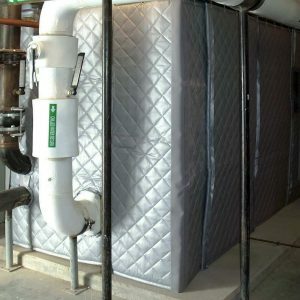 The quilted absorptive face helps to reduce ambient noise, while the barrier back helps to block the direct path of sound. The collapsible frame is available with or without casters for maximum portability and flexibility. 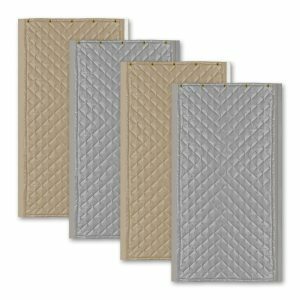 The ABBC-13 AudioSeal® Portable Blanket Screen is a fifty-four-inch-wide, one pound per square foot barrier-backed composite panel with a forty-eight-inch-wide quilted fiberglass face. Mating hook and loop fasteners sewn onto vertical edges allows for easy connection of multiple units. 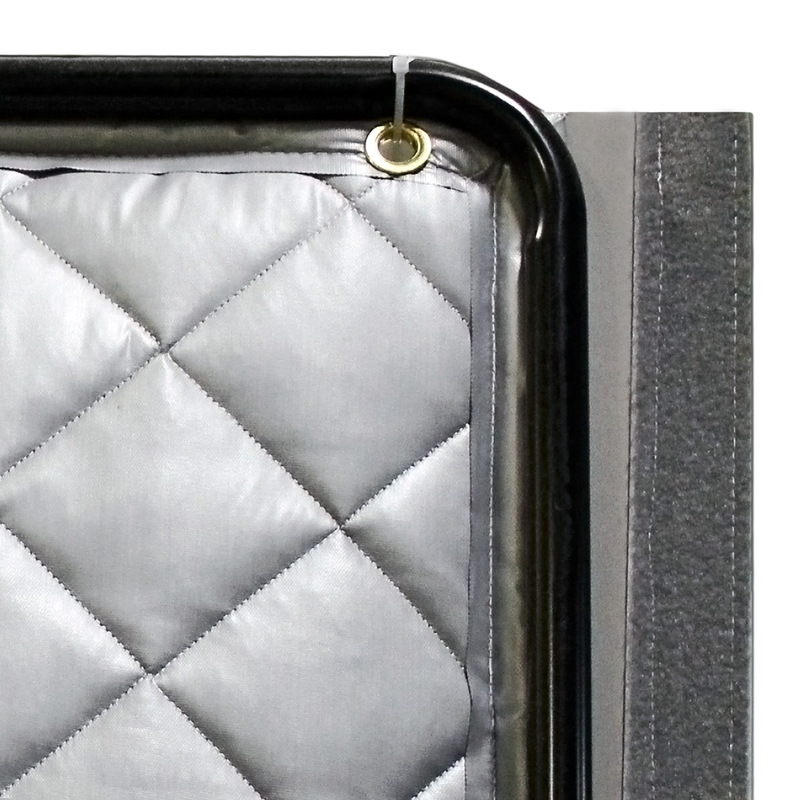 Curtain panels are manufactured with grommets along the top and bottom edges and attach to the metal frame using the included zip ties. Then face the absorptive quilted fiberglass layer towards the sound you wish to reduce. Typical uses include sound partitions for noisy areas where abuse resistance, excellent durability and portability is desired. These are the perfect material to create acoustical partitions for saws, grinders, motors, compressors and other noisy equipment. The blankets are industrial grade and may be wiped clean. 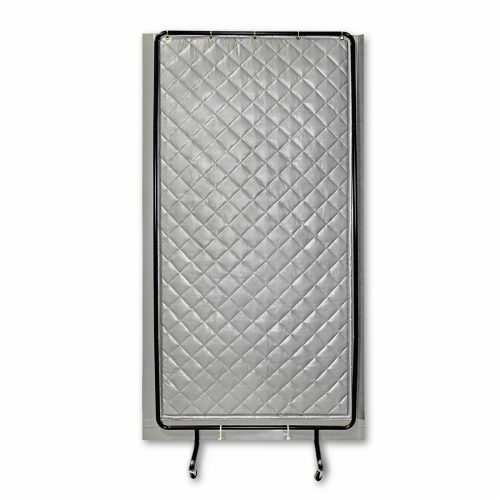 Blanket panel: 54″ wide 1 pound per square foot barrier backed composite panel with 48″ wide quilted vinyl coated cloth face. 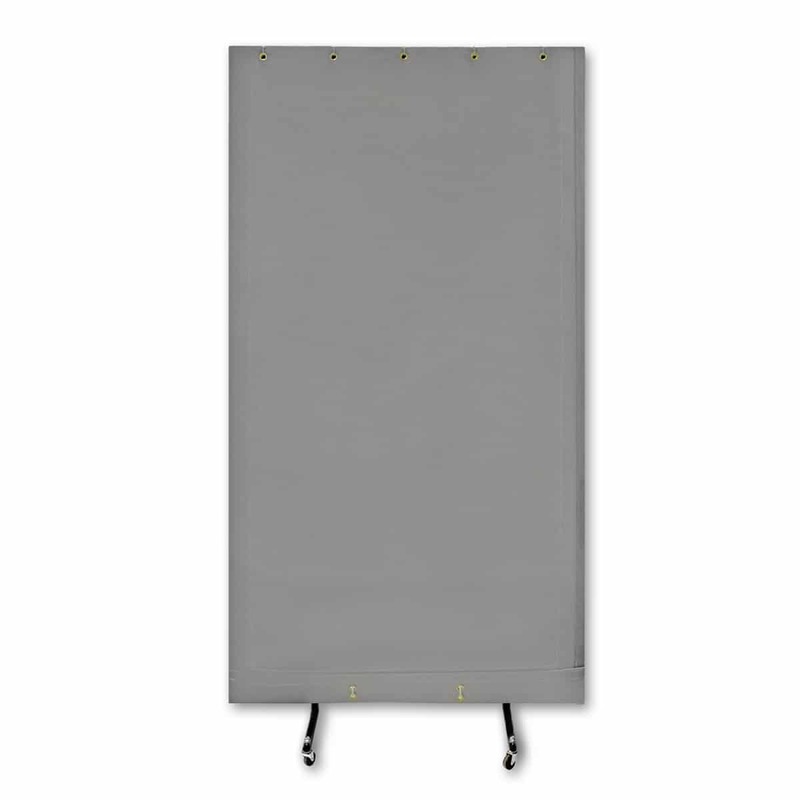 Curtain panels are manufactured with grommets for attaching to the metal frame and mating hook and loop fasteners sewn onto vertical edges. Frame: 1″ diameter powder coated tubular steel frame 48″ (w) x 96″ (h) with 4″ high platform feet for and overall height of 100″. With casters, overall height is 103″. Though these appear to be mostly for industrial use, they really work great as portable partitions in my recording studio to isolate instruments and amplifiers!